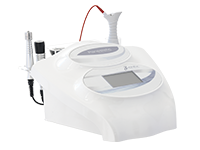 Mesoporation is a unique method that allows a transdermal delivery of active substances in the dermis, using professional esthetic and electromedical machines. This mesoporation treatment opens temporary channels in the dermis, thus allowing the passing of active ingredients which are selected according to the imperfection to treat. Mesoporation is a technique for faster and deeper penetration of active ingredients of low molecular weight. 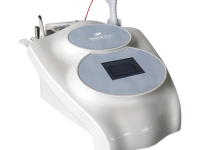 Mesoporation is an alternative to the classic mesotherapy and is intended for those who fear needles used in classic mesotherapy. In fact Mesoporation is also called Mesoporation needle-free or Mesotherapy without needles. It is a non-invasive technique and it is used also by doctors to deliver drugs. 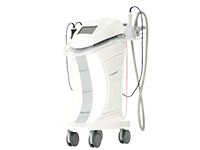 This technology provides many benefits to the skin, if it is performed by professional esthetic devices that you will find in this section of our website. 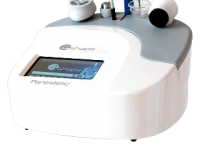 The Panestetic laboratories have developed easy to use mesoporation machines which are an innovative solutions to treat and correct the body and facial imperfections. Please use the contact form below to ask for more information.